I love this charger! I usually keep my iPad on this little desk thing in the hallway but recently, it had stopped charging with the charger I was using. I had to move it to where my husband sits in the living room and let him charge it there - which was really inconvenient to both of us. I was sent this charger in exchange for an unbiased review and I was so excited to get it. I was a little hesitant however, to set it up. I figured it wouldn't work for my iPad but it did, and it has since. It charge eight devices simultaneously, has overcharge protection, and charges safely, without risk of overheating or damaging devices. I like how it looks and most importantly, how it performs. Simplify your life with the Volmate multi-port Rapid Charger from Volmate. With a total of 8 USB ports and a total output of 60 watts, this charger is optimized to charge nearly any USB device. It will reduce the clutter of tangled cords and chargers in your home or office, and it's perfectly-sized for travelers. Intelligent Charging Technology Detects your device. Exclusive to Volmate, V-Power amp-adjustment technology intelligently identifies your device to deliver its fastest possible charge. An industry-high 60 watts / 12 amps through 8 ports charges all your phones, tablets and other devices simultaneously. Built with industry grade materials and premium circuitry, this product is CE, FCC and RoHS certified to ensure complete safety and reliability. Each USB port has a soft blue LED indicator, when your device is charging, it will automatically turn on, after your device had full charge, it will automatically turn off. At Volmate, we believe in our products. That's why we back them all with an 24-month warranty and provide friendly, easy-to-reach support. - Use your original cable or a third-party certified one (such as MFi). -Compatible with Apple and Android smartphones, tablets (including the Nexus 7) and other USB-charged devices except for the iPod nano, iPod Classic, HP TouchPad, Dell Venue 11 Pro and Asus tablets. 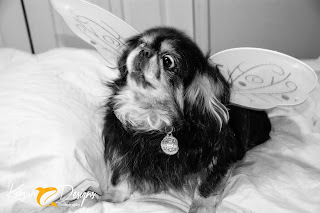 Our precious little pekingese Swan Song died this morning sometime between 8 am and 11 am. She was almost 14 years old and while she could no longer see well, walk great, or hear well - she still acted like a puppy. She had a heart murmur which we knew about and the day before she passed, she had been breathing a little heavy but by the time I carried her to bed, it had stopped for the most part. Then Rich checked her before work and she again, seemed okay. When I woke up, she was gone. We are only grateful she died here at home and hopefully, in her sleep. We will miss our baby girl. Even the bird would call her name, "Miss Swan!" The only bad thing about having dogs is that they break your heart when they leave. I got this dry dog shampoo to try out for an unbiased opinion and was excited to try it. I love how my dogs feel after a bath but I don't always have time to do it all of the time and they're not supposed to be bathed every day anyway. This is the perfect solution for in-between baths. It smells really good with the mango and pomegranate scent and it's easy to use. You simply just spray it on your hand or your dog and rub it in. It's a foam type consistency and you don't have to use a ton in order for it to work well. It's cruelty free, you get a 30 day guarantee, and it's safe and good for sensitive skin. I only have one tiny caveat to my review and that is that when I received the product, it had leaked so the bottle was sticky and I had to rinse it off and my hands as well. That's not a deal-breaker and I still loved how well the product worked on my dogs. I just did want to be honest and mention that one thing. I'll definitely use this in between baths and love how good my dog smells after I've used it. I hate killing anything - even rats. I actually find them furry and cute except when they start chewing up things. We had an issue with one chewing to get into the dog food. Okay, we got a pretty indestructible holder and that worked for a while. Then I saw the rat one night - I actually named him Ricky. He was huge! Again, I didn't want to kill him but could not catch him to put him out, only for him to come back in. The last straw was Ricky eating through our kitchen faucet hose and dishwasher hose. Both had to be replaced at a pretty high cost. The dishwasher hose was affordable but the sink faucet had to be replaced totally and it took hours and hours to do. I got one of these because we'd had one in the past (a different brand) and it's quick and pretty humane. Yes, it kills the rat but it is fast and just simply zaps them and they're out. No prolonged death in a trap or something where the poor thing suffers. You put dog food, a cracker, or whatever in there and the rat goes in and it's like the electric chair - just super fast. Once you find the rat you'll probably just see a tail sticking out (sad face) and you simply take the zapper to the trash and dump it. You do not have to see a dead rat at all. Within a few days, Ricky was no more and yes, I was sad. Very sad. However, we kept finding more things he'd ruined by chewing it. I hope Ricky is in rat heaven now but I definitely recommend the product. It's clean, fast, and more humane. Humanely eliminate rats cleanly, quickly and easily. Uses batteries or AC mains power. New 2015 highest quality Rodent Zapper design. Next generation electronic rat trap instantly kills rats, mice and rodents of all sizes using high voltage triple shock technology. Best alternative to traditional snap traps, sticky traps and poisons. Rodent Zapper kills instantly. No inhumane slow death. No blood, gore or mess. No need to even see the rat body as you dispose of it. Environmentally friendly and safe around pets and children as no poisons or chemicals used. Multiple safety protection features: Rodent Zapper separates into two separate parts for maximum safety and easy cleaning of the shock chamber. Notification light and alarm signals Rodent Zapper has a kill. Simple 3 Step Rodent Control: 1)Bait 2)Wait 3)Eliminate. For professional and home use. Suitable for indoor areas: attics, garages, basements, kitchens, living and dining rooms, shops, warehouses, offices, restaurants, hotels, etc. Includes Mains adapter (to save on batteries and get unlimited kills) plus included Notification LED Wire (for when placing the Rodent Zapper in hard-to-see places). Full instructions and support included. I've actually been tested for thyroid issues and was on the borderline. That just means that I cannot take a prescription for it but I still have problems so I like to take thyroid support that I can find over the counter. I've taken OTC thyroid pills on and off for years and I can usually tell a difference when I take them. I'm very pleased with this brand so far. The price is fair and you get a two month supply. Plus, it has a 100% money back guarantee. I was given this product in exchange for an honest review. All thoughts are my own and not swayed by the offer of the product. Check it out on Amazon and see for yourself. I love white teeth. Seriously, when I'm watching a movie or whatever, I always notice people's teeth so it is important for me to keep mine white as well. Back years ago, you didn't have the options that people do now which is a great thing for us who want to whiten things up nowadays. Anyway, I received the Ultimate Smile Professional At-Home Teeth Whitening Kit for reviewing purposes and to give my truthful and unbiased opinion. You get thermal trays to use and the whitening gel plus everything you need. You don't have to buy the whole kit again when you're done using it; you simply buy the refills. I have very sensitive gums so there was a tiny bit of sting but nothing I'm not used to with mouthwash and it didn't irritate my teeth. I noticed a little bit of difference to start and that's a good sign so I plan to keep using it till I get my desired look. You can get this at Amazon and I'll include a link to check it out yourself. It's much cheaper than having it done at a dentist's office and more convenient too. I'll continue to update you as I use this more so stay tuned. 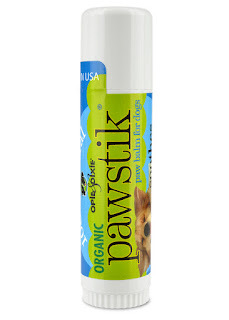 I was given the opportunity to review the Opie & Dixie Organic Pawstik for my dogs' paws for an unbiased review and I jumped on the chance. My dogs often have dry paws and I wanted something simple to use that they would enjoy. As soon as I got the product I opened it up and smelled it. It has a pleasant scent that I liked so I applied it to Blitz's paws. He didn't mind at all and they were immediately nice and soft. I did not have to do Swan's paws since hers have always been soft but the twins sometimes have/had (before Donner passed) rough paws and this works perfectly for them. "Pawstik, our best-selling Healing Paw Balm's formula in convenient stick form, is the answer to your dog's dry, cracked paws! Our customers love our safe, gentle treatment for sore paw pads. Works wonders during harsh winter and summer climates. Safe for bunnies, too!" Olive Oil, Sweet Almond Oil, Shea Butter, Aloe Vera, Calendula Petals, Chamomile, Comfrey Root, Jojoba Seed Oil, Beeswax, Plaintain, Vitamin E, Essential Oils of Lavender, Rosemary, Tea Tree, and Basil. If your dogs have rough paws, this is definitely the product you want to get. I received this for an unbiased review but all thoughts are mine alone. I was fortunate enough to be able to test this product for my dogs - Fifi & Fido Beef Jerky Treats - and although I received the item for an honest review, all review thoughts are my own. First off, my dogs love them, especially Blitz. Perhaps it is because he's still young enough to perform tricks and Swan is quite older but any time I go near the treats, Blitz starts high-fiving, sitting, and barking. They are packaged very nicely and you get a very large bag which equals an entire pound of treats. Now, the price is fairly expensive IF you are used to buying cheap treats. However, if you want a natural and quality product for your furry friend, this is the typical price so it's all relative. I'm very pleased with the brand and with the treats and I know darn well that my dogs are. Believe me, they don't just eat any treat. 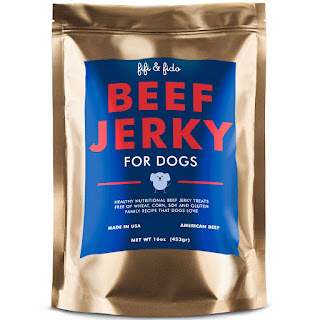 I've had them refuse quite a few so I know that they love Fifi & Fido Beef Jerky Treats. We've been taking Omega 3 for quite some time. It is great for heart health, cholesterol levels, and tons of other benefits. You typically get your Omega 3 from things like fish but sometimes you don't get enough, especially if you don't always eat the way you should - like us. I was given the opportunity to try Life & Food Omega-3 Supreme at no cost for an unbiased review so I was thrilled with the chance since this is something we use. Life & Food Omega-3 is sourced from wild Alaskan caught Pollock and from a sustainable and certified operation by MSC. It does not however, give you the fish burps, which is a good thing. I mean, really - who would want that? This is because it is enteric coated. I had to look that up and it means it is a polymer barrier applied on oral medication. This helps by protecting drugs from the acidity of the stomach. ○ 644/336 EPA/DHA levels (Meeting GOED standards). ○ Fish Oil concentrate made from IFOS 5-star certified fish oils (raw material). ○ Contains the minimum recommended 1,000 mg (1g) of Omega-3s per serving. ○ Sourced from wild Alaskan caught Pollock. Sustainable and certified operation by MSC. ○ USA Manufactured and laboratory tested in FDA, GMP, NSF certified facilities. ○ Molecularly distilled, clean refined and tested. ○ Easy to swallow soft gelatin capsules. ○ Enteric coated for max absorption and no fish burps. You can get it on Amazon and tell them I sent you.